A timeline of residential schools in Canada. The Truth and Reconciliation Commission begins three months of hearings in 19 northern communities in the lead up to its second national event, which will be held in Inuvik, N.W.T. between June 28 and July 1. The government of Canada announces it will endorse the UN Declaration on the Rights of Indigenous Peoples, a non-binding document that describes the individual and collective rights of indigenous peoples around the world. The Truth and Reconciliation Committee hails the decision as a step towards making amends. The Truth and Reconciliation Commission is pleased with the outcome of its first national event in Winnipeg, despite receiving a smaller number of survivor statements than hoped. Thousands of aboriginal residential school survivors meet in Winnipeg for the first national event of the Truth and Reconciliation Commission. With the simple cutting of a ribbon, Canada's Truth and Reconciliation Commission officially opens its headquarters in Winnipeg, two years after it was first created. Survivors of abuse at residential schools are fearing the end of federal funding on March 31 for the Aboriginal Healing Foundation, a nationwide network of community-based healing initiatives. The federal government did not renew its funding for the foundation (AHF), which serves 134 community-based healing programs. Investigations into cases of students who died or went missing while attending Canada's residential schools are a priority for the Truth and Reconciliation Commission, says the group's new research director. Canada's residential schools commission is settling in to its new home — and name — in Winnipeg. New chief commissioner Justice Murray Sinclair recently moved the headquarters of the commission from Ottawa to Winnipeg. The commission has also changed its name from the Indian Residential Schools Truth and Reconciliation Commission to theTruth and Reconciliation Canada (TRC). Gov. Gen Michaëlle Jean, who toured the Arctic in May, relaunched the Truth and Reconciliation Commission of Canada in October 2009. ((Sean Kilpatrick/Canadian Press))Gov. Gen. Michaëlle Jean relaunches the Indian Residential Schools Truth and Reconciliation Commission in an emotional ceremony at Rideau Hall. "When the present does not recognize the wrongs of the past, the future takes its revenge," Jean tells an audience that included residential school survivors. "For that reason, we must never, never turn away from the opportunity of confronting history together — the opportunity to right a historical wrong." Justice Murray Sinclair says he'll have to work hard to restore the commission's credibility. Sinclair says people lost some faith in the commission after infighting forced the resignation of the former chairman and commissioners. Indian Affairs Minister Chuck Strahl announces the appointment of Judge Murray Sinclair, an aboriginal justice from Manitoba, as chief commissioner of the Truth and Reconciliation Commission for residential schools. Marie Wilson, a senior executive with the N.W.T. Workers' Safety and Compensation Commission, and Wilton Littlechild, Alberta regional chief for the Assembly of First Nations, are also appointed commissioners. Pope Benedict XVI expresses "sorrow" to a delegation from Canada's Assembly of First Nations for the abuse and "deplorable" treatment that aboriginal students suffered at Catholic church-run residential schools. Assembly of First Nations Leader Phil Fontaine says it doesn't amount to an official apology but hopes it will "close the book" on the issue of apologies. Two of three commissioners on the Indian Residential Schools Truth and Reconciliation Commission, Claudette Dumont-Smith and Jane Brewin Morley, announce that they will step down effective June 1. Former Supreme Court of Canada justice Frank Iacobucci, appointed in 2005 as the federal government's representative to lead discussions toward a fair and lasting resolution of the legacy of Indian residential schools, agrees to mediate negotiations aimed at getting the Truth and Reconciliation Commission back on its feet. Justice Harry LaForme resigns as chairman of the Truth and Reconciliation Commission for residential schools. In a letter to Indian Affairs Minister Chuck Strahl, LaForme says the commission is on the verge of paralysis because the panel's two commissioners, Claudette Dumont-Smith and Jane Brewin Morley, do not accept his authority and leadership. Prime Minister Stephen Harper apologizes to former students of native residential schools, marking the first formal apology by a prime minister for the federally financed program. "The treatment of children in Indian residential schools is a sad chapter in our history," he says in a speech in the House of Commons. Indian Affairs Minister Chuck Strahl announces that Justice Harry LaForme, a member of the Mississaugas of the New Credit First Nation in southern Ontario, will chair the commission that Ottawa promised as part of the settlement with former students of residential schools. At the ceremony, LaForme paid homage to the estimated 90,000 living survivors of residential schools. "Your pain, your courage, your perseverance, and your profound commitment to truth made this commission a reality," he said. LaForme, 61, is a former Ontario Indian commissioner and former chair of a federal commission on aboriginal land claims. On May 13, 2008, two additional commissioners are added to the commission. Claudette Dumont-Smith is a health professional whose work has focused largely on the Aboriginal population, and Jane Brewin Morley is a lawyer and also one of the adjudicators on a panel responsible for examining claims of sexual or serious physical abuse at residential schools. The Truth and Reconciliation Commission is expected to begin its work on June 1, 2008. A landmark compensation deal for former residential school students comes into effect, ending what Assembly of First Nations Chief Phil Fontaine called a 150-year "journey of tears, hardship and pain — but also of tremendous struggle and accomplishment." The federal government-approved agreement will provide nearly $2 billion to the former students who had attended 130 schools. Indian Affairs Minister Chuck Strahl said he hoped the money would "close this sad chapter of history in Canada." However, the class-action deal — one of the most complicated in Canadian history — was effectively settled by Dec. 15, 2006, when documents were released that said the deal had been approved by seven courts: in Alberta, British Columbia, Manitoba, Ontario, Quebec, Saskatchewan and the Yukon. The average payout is expected to be in the vicinity of $25,000. Those who suffered physical or sexual abuse may be entitled to settlements up to $275,000. Ottawa announces a $2-billion compensation package for aboriginal people who were forced to attend residential schools. Details of the Indian Residential Schools Settlement Agreement include an initial payout for each person who attended a residential school of $10,000, plus $3,000 per year. Approximately 86,000 people are eligible for compensation. The Supreme Court of Canada rules that the federal government cannot be held fully liable for damages suffered by students abused at a church-run school on Vancouver Island. The United Church carried out most of the day-to-day operations at Port Alberni Indian Residential School, where six aboriginal students claimed they were abused by a dormitory supervisor from the 1940s to the 1960s. The court ruled the church was responsible for 24 per cent of the liability. The federal government appoints the Honourable Frank Iacobucci as the government's representative to lead discussions toward a fair and lasting resolution of the legacy of Indian residential schools. The government unveils Gathering Strength: Canada's Aboriginal Action Plan, a long-term, broad-based policy approach in response to the Royal Commission on Aboriginal Peoples. It includes the Statement of Reconciliation: Learning from the Past, in which the Government of Canada recognizes and apologizes to those who experienced physical and sexual abuse at Indian residential schools and acknowledges its role in the development and administration of residential schools. St. Michael's Indian Residential Schools, the last band-run school, closes. The United Church's General Council Executive offers a second apology to the First Nations peoples of Canada for the abuse incurred at residential schools. The litigation list naming the Government of Canada and major Church denominations grows to 7,500. Phil Fontaine is elected national chief of the Assembly of First Nations, a political organization representing Canada's aboriginal people. The Royal Commission on Aboriginal Peoples, or RCAP, issues its final report. One entire chapter is dedicated to residential schools. The 4,000-page document makes 440 recommendations calling for changes in the relationship between aboriginals, non-aboriginals and governments in Canada. 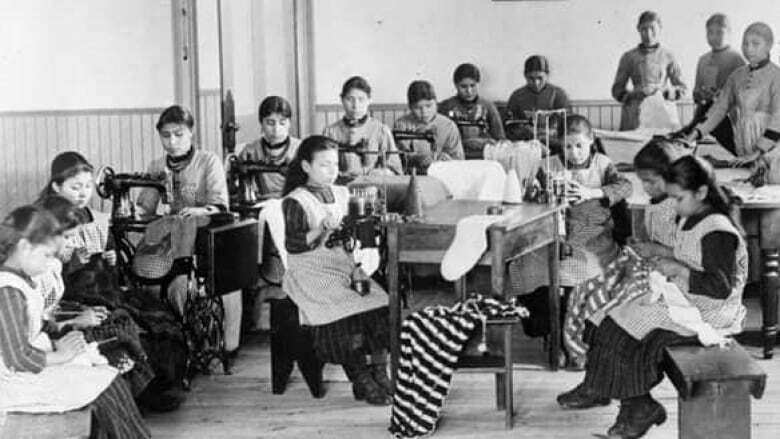 The Gordon Residential School, the last federally run facility, closes in Saskatchewan. The Presbyterian Church offers a confession to Canada's First Nations people. The Anglican Church offers an apology to Canada's First Nations people. The Missionary Oblates of Mary Immaculate offers an apology to Canada's First Nations people. Read this pdf of their apology. 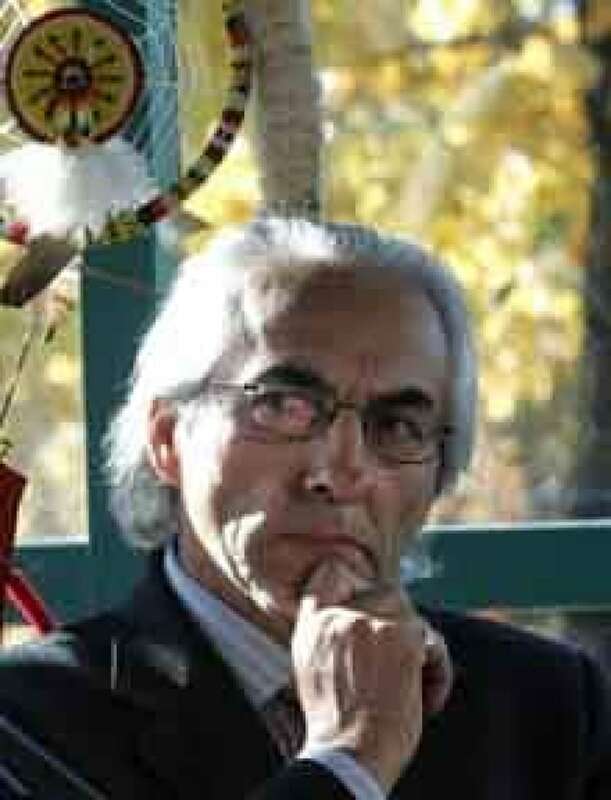 Phil Fontaine, leader of the Association of Manitoba Chiefs, meets with representatives of the Catholic Church. He demands that the church acknowledge the physical and sexual abuse suffered by students at residential schools. Non-aboriginal orphans at Mount Cashel Orphanage in Newfoundland make allegations of sexual abuse by Christian Brothers at the school. The case paves the way for litigation for residential school victims. The United Church of Canada formally apologizes to Canada's First Nations people. Only 15 residential schools are still operating in Canada. The Department of Indian Affairs evaluates the schools and creates a series of initiatives. Among them is a plan to make the school administration more culturally aware of the needs of aboriginal students. A provincial Task Force on the Educational Needs of Native Peoples hears recommendations from native representatives to increase language and cultural programs and improve funding for native control of education. Also, a Department of Indian Affairs and Northern Development publication reports that 174 federal and 34 provincial schools offer language programs in 23 native languages. The aboriginal education system sees an increase in the number of native employees in the school system. Over 34 per cent of staff members have Indian status. This is after the government gives control of the Indian education program to band councils and Indian education committees. Indian Affairs is transferred from the Imperial Government to the Province of Canada. This is after the Imperial Government shifts its policy from fostering the autonomy of native populations through industry to assimilating them through education. Egerton Ryerson produces a study of native education at the request of the assistant superintendent general of Indian affairs. His findings become the model for future Indian residential schools. Ryerson recommends that domestic education and religious instruction is the best model for the Indian population. The recommended focus is on agricultural training and government funding will be awarded through inspections and reports. Early church schools are run by Protestants, Catholics, Anglicans and Methodists. Boarding schools are established for Indian youth by the Récollets, a French order in New France, and later the Jesuits and the female order the Ursulines. This form of schooling lasts until the 1680s.